In the realm of online poker, 27-year-old David Benefield is a legend known by the name “Raptor.” That’s the moniker Benefield used when he first ran $450 into $20,000. Years later, that sum would be in the millions. Now, the better part of a decade later, the man who bought a half-million-dollar house in Fort Worth with Tom “durrrr” Dwan when he was 20, is not only at this final table, but also at the final table of the 2013 World Series of Poker Main Event as the short stack in this year's November Nine. Credited with creating the quad monitor set-up – a grind station system used by hundreds of online players nowadays – Benefield once posted a “Raptor Challenge” on Two Plus Two stating that he wanted to make enough money to buy a $1.4-million vacation home in Costa Rica, and while that may have been a dream of days gone by, he’ll be at least halfway there as he’s guaranteed $733,224 as a member of the November Nine. Prior to this year, Benefield’s largest score was for $150,035 after finishing eighth in the €50,000 Majestic Super High Roller at the 2012 WSOP Europe. He also took sixth in the 2010 Event #17 $5,000 No-Limit Hold’em for $135,718. Other notable live accomplishments include 73rd in the 2008 WSOP Main Event for $77,200, 13th in the 2008 WSOP Event #1 $10,000 World Championship Pot-Limit Hold’em for $41,360 and 10th in Event #50: $10,000 World Championship Pot Limit Omaha for $53,721 the same year. Among those lifestyle changes were eating healthfully, practicing yoga and moving to New Mexico to study philosophy and literature at St. John’s College. 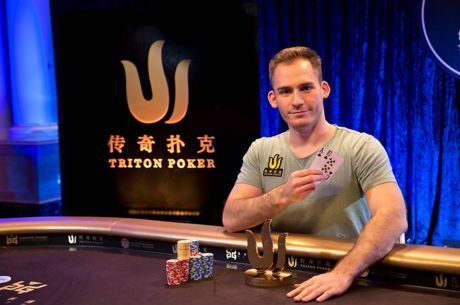 Benefield proceeded to announce his “retirement” from poker and two years later and transferred to Colombia University, where he is currently a part-time student studying Chinese and political science. While Benefield left the life of an online poker pro behind, he still traveled to the WSOP every year and as you know, while Benefield may have been done with poker, the game wasn’t done with him. For more on Benefield we recommend you check out Ship It Holla Ballas! : How a Bunch of 19-Year-Old College Dropouts Used the Internet to Become Poker's Loudest, Craziest, and Richest Crew by Jonathan Grotenstein and Storms Reback. 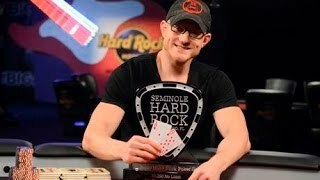 Learn About the Documentary "Phwap's Back - A Poker Comeback Story"